Shakespeare’s verse, like his plays, has established itself at the very foundation of English literature: again and again the reader is confronted with phrases that have become proverbial (“Shall I compare thee to a summer’s day?”) and with combinations of words (“the remembrance of things past”) that bear the special resonance of cultural icons. Only the King James version of the Bible can claim a greater influence over the shape and cadence of English-language expression. Nearly all the best-known and most enduring of Shakespeare’s poems, the 154 sonnets, were written in the first decade of his theatrical career. These compellingly personal works were circulated in handwritten copies among their author’s circle of acquaintances in the mid-to-late 1590s, and were published in book form in 1609. 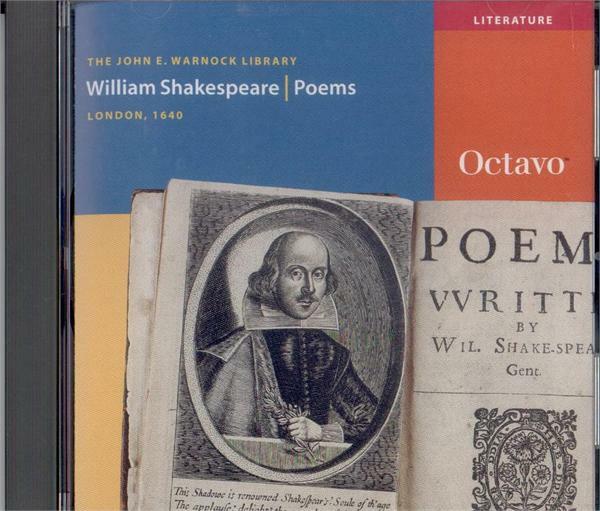 The first attempt to collect a larger range of Shakespeare’s lyric verse did not occur until the 1640 Poems was issued, nearly a quarter-century after the poet’s death. This unauthorized edition, printed in the small octavo “pocket” format characteristic of the times, was published by John Benson, a bookseller specializing in broadside ballads, popular literature, and music. 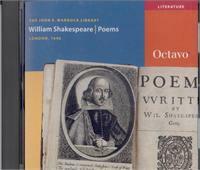 This Octavo Edition reproduces one of the fewer than fifty surviving copies.